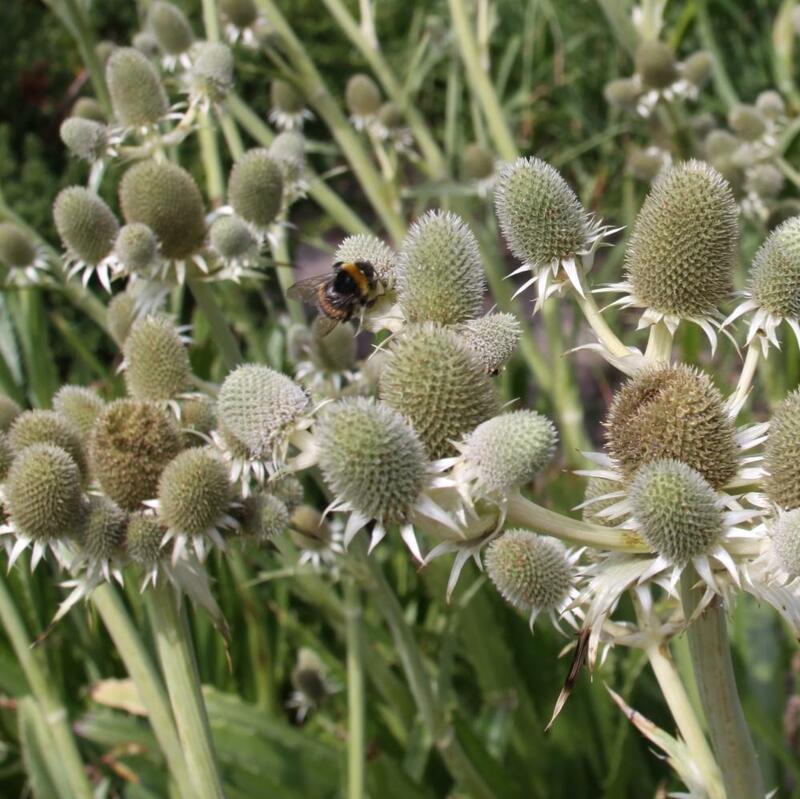 Eryngium agavifolium is an easy and very handsome and striking evergreen architectural perennial with rosettes of sword shaped,sharply toothed, rich green leaves. 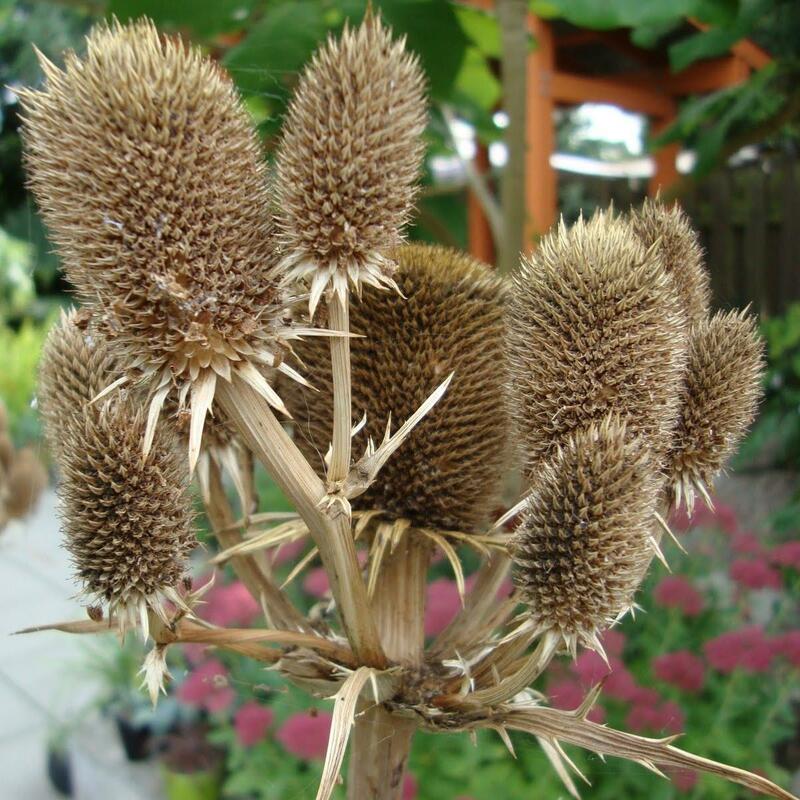 Flower heads are tall statuesque and thistle like, with tiny greenish-white flowers composite, together creating teasel like heads on branched stems produced during late summer. Prefers full sun in well drained soil. Hardy. Height 1.5m, spread 1m. 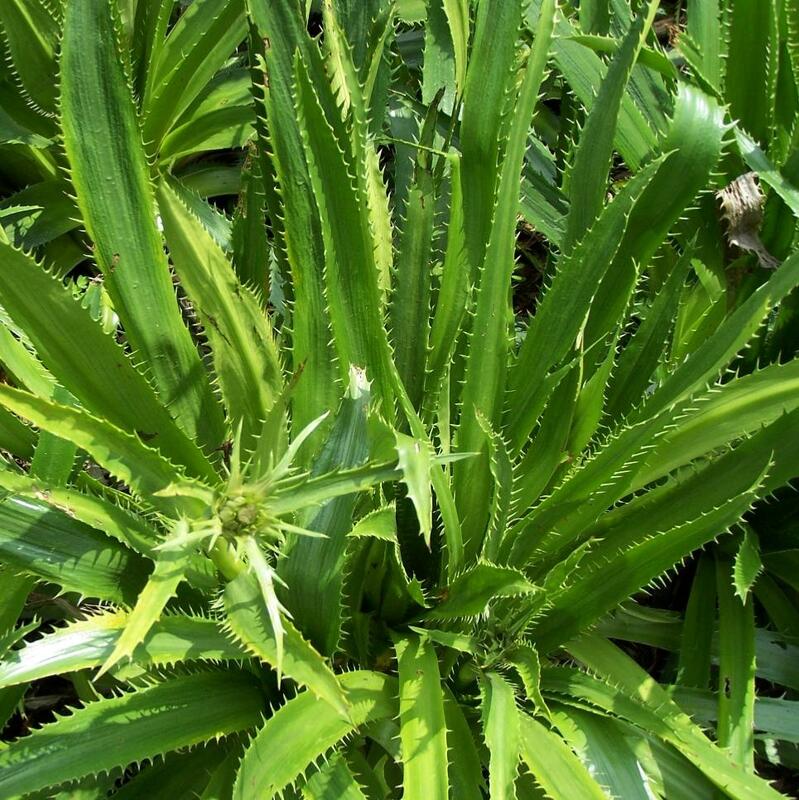 Eryngium agavifolium, otherwise known as the Agave-Leaved Sea Holly,is native to Argentina where it is found in the central-northern provinces of Santiago del Estero, Córdoba and San Luis to elevations of 1000m. 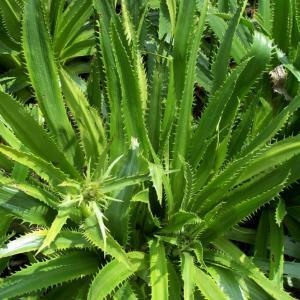 It is another wonderful Eryngo with spectacular foliage that forms a cluster of large dramatic rosettes with broad serrated leaves resembling an Agave. Unlike an Agave, the spines are relatively soft and cannot be considered dangerous. Eryngium agavifolium, adds a sense of the exotic to the garden border. The flowers may lack colour, but they more than make up for in sheer drama. The tiny composite flowers are adored by bees, and if the flower stems are left uncut remain dramatic when dry in the winter and provide much needed food for small birds.